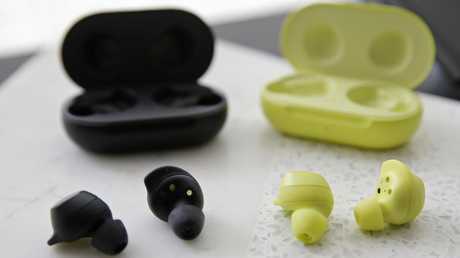 The wireless earbuds look set to replace the Gear IconX range as Samsung's de facto earbuds. 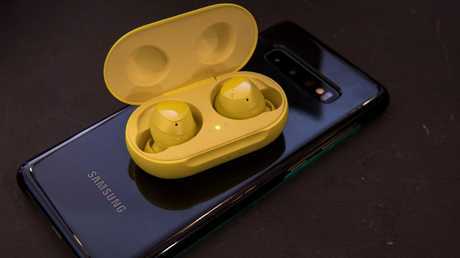 Just like Apple's AirPods that allow you to engage with Siri, the Galaxy Buds are able to be controlled via voice with Samsung's Bixby AI assistant, which can now recognise three new languages - German, Italian and Spanish. They are priced at a similar price point to Apple's AirPods, but $20 more at $249. The company is clearly hoping it can replicate some of Apple's success in this space. 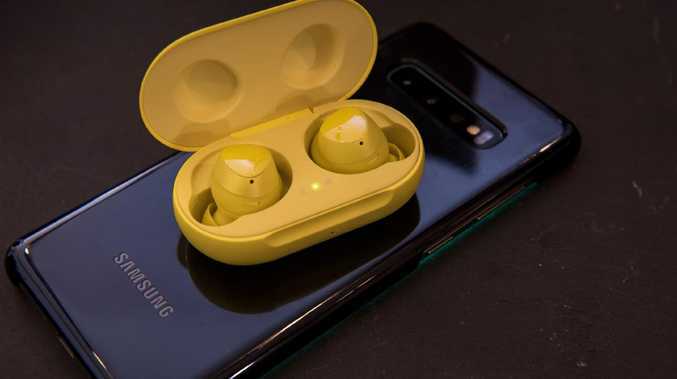 The case of the Galaxy Buds can be charged wirelessly - a feature that Apple users have long been waiting for and is rumoured to be coming to the next AirPods. This is particularly exciting given that more smartphones are coming out with the ability to act as a charging pad, including Samsung's Galaxy S10, announced this morning. We don't know yet exactly how long it will take to charge the buds via this method compared to plugging in a USB-C cable, but it will certainly come in handy. 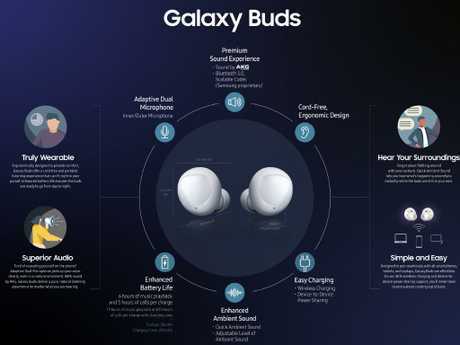 You can pre order the Galaxy Buds in the company's online Australian store from today for $249. Can Samsung replicate Apple’s success with the AirPods?